In a new interview with The New York Times magazine, Eminem declares that the way he looks at things now is different then hwo he used to look at themm thanks to MTV News. During the interview Eminem was asked if he’d support a gay marriage bill in his home state of Michigan. And he said yes ! “I think if two people love each other, then what the hell?” Em answered. “I think that everyone should have the chance to be equally miserable, if they want.” Throughout his career, Eminem has sparked controversy with gay rights groups, who called lyrics on his Marshell Mathers LP homophic and hateful and they protested against his nomination at the Grammys in 2001. Alot of rappers don’t support gay marriage, and of course are homophobic. iReally don’t know why. Being gay myself iKnow for a fact that people in the LGBT community loves music. If u are an artist and u discriminate against the LGBT group you may as well hang it up. Some of your biggest fans may come from the gay community. We are people too andf hopefully people will begin to see that. I’m glad that Eminem has stepped up and stated that he has no problem once so ever with the gays and that he supports gay marriage. Maybe if Bow Wow comes out the cloest, he shall be able to accept himself and other gay people alike. According to rapbasement.com and Eminem himself, the album will be released next Monday (yes people the album has indded been pushed up…that’s rare). I’m sure the hip hop heads are very much excited about this, and for some reason, iAm 2. It’d time to see a rapper take the number one spot on the Billboard 200 Album Sales charts for at least a week. Pop has been taking over. Guests for the album include Lil’ Wayne, Kobe, P!nk, and Rihanna. NEW Eminem ft. Lil Wayne & Rihanna! 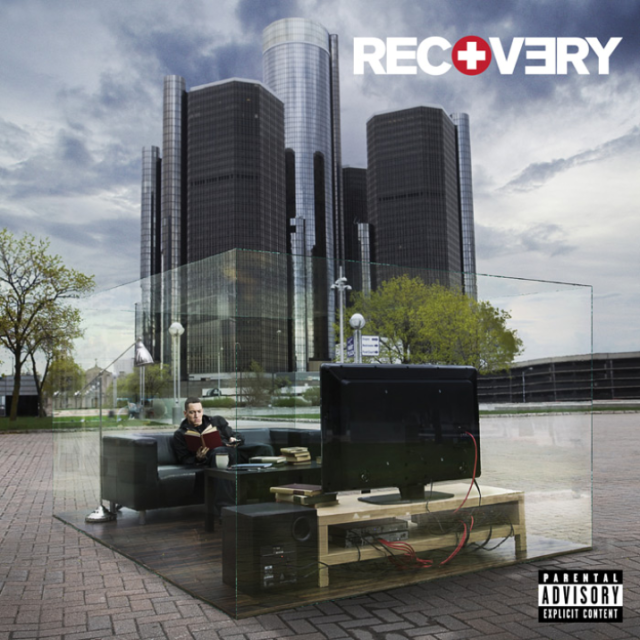 The second single from Eminem’s forthcoming album Recovery, Won’t Back Down, was released online yesterday via RapRadar.com. The track, produced by DJ Khalil, features Pink and finds Eminem firing off a slew of lyrical punch lines. “Listen, garden tool/ Don’t make me introduce you to my power tool,” the Detroit native raps says. “You know the fuckiing drill/ How you douche bags feel?/ Knowing you’re disposable, Summer’s Eve, Massengill.” Thats actually kinda funny but ne way Eminem spoke about his Recovery collaborations while in France on a promotional tour. Pink, Rihanna and Lil Wayne are all featured. Pink was actually added to the track after it was completed. “When I did the song that I did with Pink, I laid my parts first and kind of heard her on the record and felt that she would smash this record,” Em said. Pink certainly delivers a fiery warning on the chorus. “You can sound the alarm, you can call out your guards/ You can fence in your yard, you can pull all the cards/ But I won’t back down, I won’t back down,”. iReally like this song. Pink sounds great (as usual) and there’s a great chemical balance between the two of them. Why wouldn’t there be? Pink is a white woman who sings RnB like no other and Em is a white male who’s known to some as one of the best rappers of our generation. Not to mention that the two of them have had some rocky moments not only in their careers, but also in their childhoods. It’s like a match made in musical drama heaven. The song follows “Not Afraid,” the first offering from Recovery, which debuted at #1 on the Billboard Hot 100 chart.